If your business has customers, most of your insurance needs can be taken care of in a business package policy. This policy is one convenient contract that incorporates several different policy options into the one product. You don’t have to take out all of the different options available – but in our view you should consider them. A retail clothing shop may only wish to take out cover for fire & perils, burglary and public & products liability on their business package policy; however we can also look at expanding their cover to include business interruption, loss of money, glass (including any signage), electronic equipment and employee dishonesty. A restaurant may want a business package policy covering fire & perils, business interruption, burglary, loss of money and public & products liability. Again, our team may suggest that they look at taking out a machinery breakdown section to include deterioration of stock. The list of possible scenarios is endless and the choices of what sections you may need to take out to ensure you are adequately covered can be daunting. So why not get one of our friendly brokers give you a hand and make it a bit easier. At JVIB we like to provide comprehensive quotes to all of our clients, however we appreciate and respect, that as a client, you may wish to pick and choose the covers you want. 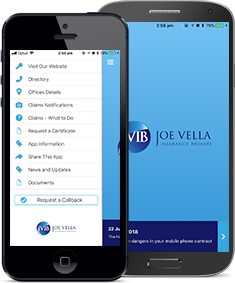 The insurance world is constantly evolving and who better to guide you through the advancements and changes than JVIB. For more information detailing the sections available, or if you’ve already read that, please click here to let one of our experienced team provide you with a quote.